The United States women’s national team will defend its World Cup title this summer, and it’ll do so with jerseys that pay homage to the 1999 team as well as the program’s history and the nation it represents. 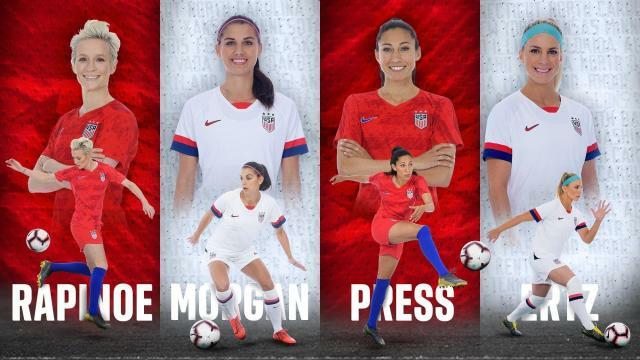 Nike and the USWNT officially revealed the kits on Monday, giving fans their first look at the white home and red away jerseys the U.S. women will sport in France. 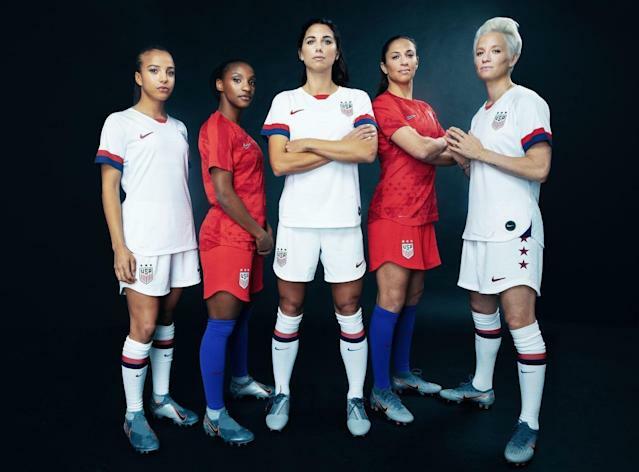 The home whites feature a design similar to the 1999 team, which beat China on penalty kicks in the World Cup final 20 years ago in a watershed moment for the sport not only in the United States, but across the planet. There are also three stars above the U.S. Soccer logos, denoting the three World Cup titles the Americans have won, more than any other nation. Additionally, the names of all 50 states are printed on the back of the home kits, meant to symbolize the idea the whole country is behind them. “We want to inspire young women to believe in themselves, to have that confidence to believe that they can do anything they set their minds to,” said star striker Alex Morgan. The United States will face perhaps the toughest and deepest field ever at a women’s World Cup, with France and several other nations entering the tournament armed with realistic expectations of raising the trophy. For more images, check out the USWNT’s press release at USSoccer.com.